Breaker’s home is cleaved by blood. The three tribes on the planet Scarlatti, whose only difference is their blood color, each want to exploit Breaker’s valley for themselves. The feudal tension has already claimed red-blood Breaker’s leg and his older brother. Now all this 18-year old wants is to maintain the tenuous peace in order to keep his little ‘stroid of a brother alive. Malani, a red-blood raised blue, is a kidnapped POW and only wants to return to her adoptive home with her dangerous blue secrets. Luka, a red-blood stewing for trouble, wants to right wrongs done to his family and bath his home in justice. All three intersect when Breaker discovers a wrecked starship and is given seven days by the green-bloods to fix and hand it over as a weapon. Breaker must decide if aiding his enemies is worth the home he knows and his family’s life. War is coming. And war respects no boundaries. And war leaves no survivors. 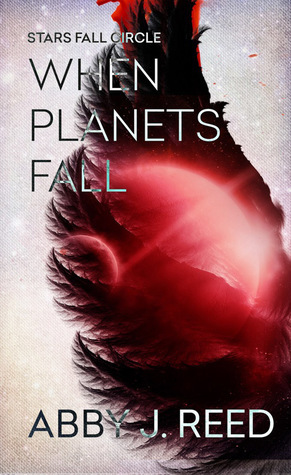 WHEN PLANETS FALL is a diverse YA sci-fi. Perfect for those who like darker, grittier stories with disabled characters! Several things, but I was still really wrestling with my own disability at the time. I wanted to write about characters who had to overcome their own body in order to achieve their goals. Since that’s what I face every day. Yes! This is the first book of a planned trilogy. Gosh. I’m t-e-r-r-i-b-l-e at picking out actors. I would really love somebody who has an actual amputation to portray Breaker though. And somebody who has at least experienced a couple migraines or an episode of PTSD for Luka and Malani. There’s something deeper emotionally that’s hard to communicate about mental illness and pain unless you’ve experienced it yourself. I’ve always loved stories and being able to experience things I couldn’t even imagine when opening a page. I knew I would always be writing in some fashion, but it wasn’t until I got too sick to do anything else that I seriously considered being an author. Does my own count?? I have an entire Pinterest board dedicated to this. I’m still really in love with ILLUMINAE and GEMINI from Kaufman and Kristoff. I love how vibrant the jacket it . . . and yet when you remove it, the cover looks comopletely different. Brilliant stuff. Most recent book that did this: The Grace of Kings by Ken Liu. It’s not YA, but it’s an epic fantasy based on Chinese culture and mythology. It’s so well done and beautiful I kept wanting to take notes on every little thing. My husband. He is so gracious, loving, encouraging. He is Love Incarnate. His enthusiasm is what helps keep me dreaming. Bridge to Terebithia. Each time I watch it, I completely lose it—snot, poise, tears, decorum. All out the window. This changes all the time. Anybody who can make me laugh or cry is automatically my favorite author. I’m currently in love with the FunJungle novels by Stuart Gibbs. I’m laughing during the first line. I honestly don’t know. I’m afraid to meet my heroes because they never are who I expect them to be. I’d rather have someone fill my dinner party with random authors, artists, photographers, dancers, ect. I think we could all have a great conversaion without the pressure. For a period of about 4 years, I couldn’t wake up on an even number. Like, I had to set my alarm at 6:57 or 7:03, not 7. It would irritate me so much and cause me to have a bad start to my day. And it just felt better, you know? This could totally get me in trouble—but we have a neighbor we call Naked Neighbor. Let’s just say we’ve seen way more than anybody would ever want to but his spouse seems totally cool with it! So, cheers to them, I think? 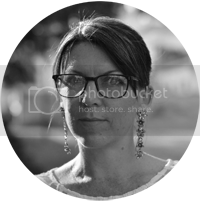 Abby lives in Colorado with her husband and two fluffy pups. If her hands aren’t on the keyboard, they are stained purple and blue with paint. Find her online at www.abbyjreed.com.